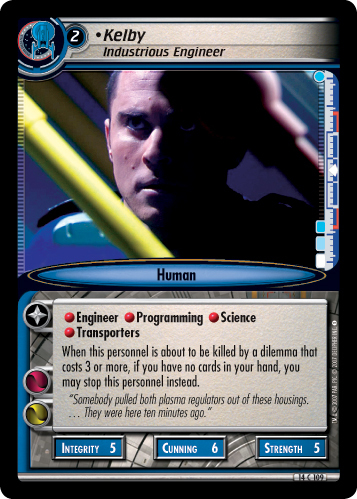 While a personnel present is facing a dilemma, if you have no cards in your hand, you may destroy your event to have that personnel gain a skill of your choice until the end of that dilemma. 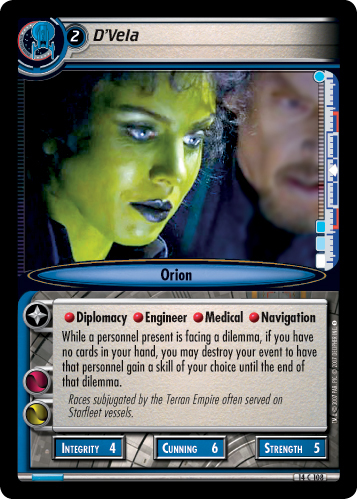 Races subjugated by the Terran Empire often served on Starfleet vessels. 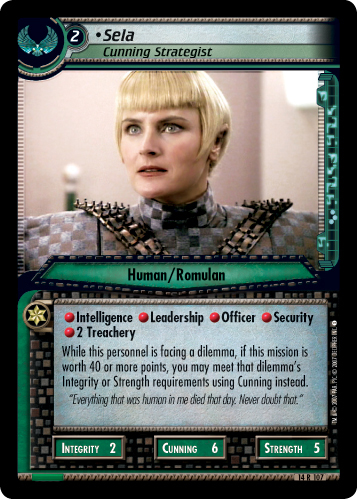 Image Source: Enterprise: "In a Mirror, Darkly (Part I)"